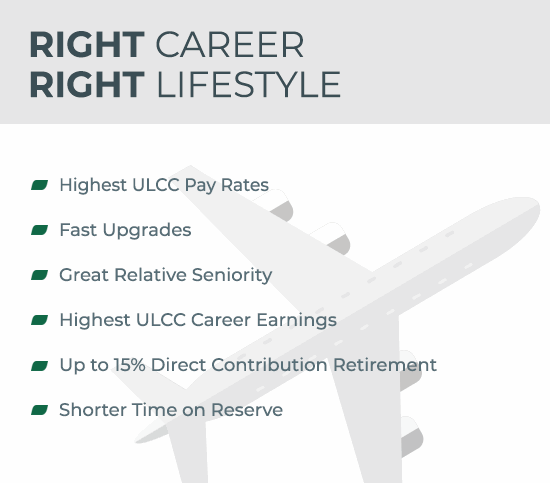 Join the Frontier family as a pilot of one of the fastest growing airlines. We know pilots are the heart of our airline so we offer competitive benefits and flight privileges for you and your family. We can't wait for your career to soar with us! 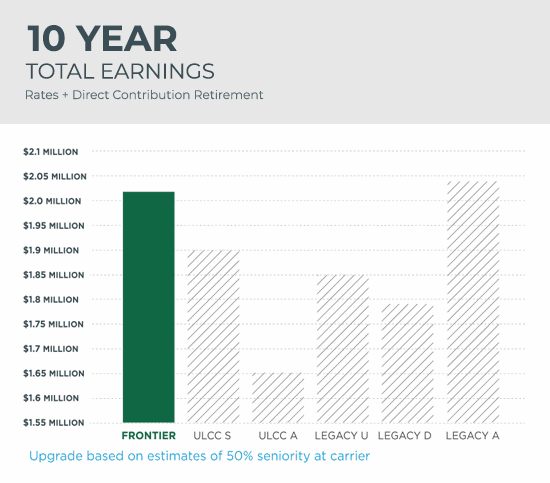 Armed with a business model that succeeds in any economic climate, Frontier is poised to double in size over the next 5 years. For a new pilot, that means less time on reserve, a fast upgrade (2-3 years) and the comfort of knowing you have a career ahead of you. We are rapidly expanding with over 200 new aircraft on order and network expansions now covering 90% of the US. We're expected to grow 3 TIMES our current size over the next 10 years. We offer valuable opportunities to our pilots including a quicker transition to Captain and flexibility working out of your preferred base! We're an airline that is democratizing travel. Join a team that makes it possible for more people to fly and for people to fly more often! - Frontier Travel Perks: You're not the only one that gets to travel! 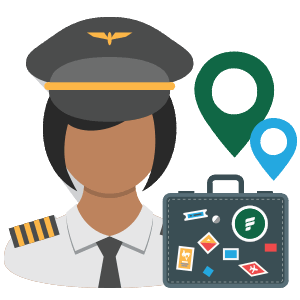 Employees, dependents, spouse, children, domestic partners, parents and companions have access to travel privileges on Frontier. - Buddy Passes: Receive 28 Buddy Passes (one-way) per year for friends and family. - Charles Schwab Retirement Plan: You have the option to contribute on a pre-tax basis, post-tax, Roth basis or the combination. - Investments: We have a range of investments including Target Date Retirement Funds. Also enjoy retirement plan assistance with Guided Choice. March 2, 2022 and thereafter 15% of compensation. - Time Off:: We offer generous vacation time that increases over time. You'll also get up to 120 days over 12 years of sick leave that you can accrue and maintain even while on a leave of absence. - Additional Benefits: We provide Company-Paid Life and AD&D insurance. We also offer a range of voluntary insurance options including Short and Long-Term Disability, pet insurance and more! READY TO START YOUR NEXT ADVENTURE WITH US? Frontier considers only hours in fixed wing/rotary aircraft as flight time towards minimum qualifications. Hours logged in flight simulators, or as flight engineer, bombardier, navigator, WSO, EWO, RIO, NFO, UAV, or Special Crew will not be considered as flight time for these purposes. 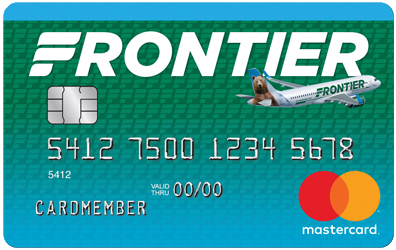 Ability to travel in and out of the U.S. to all cities/countries served by Frontier Airlines, Inc.